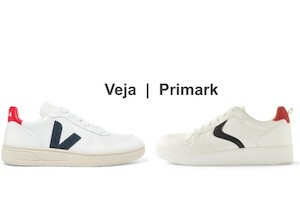 Primark is facing a lawsuit from footwear company Veja, which accuses it of selling copycats of its signature trainer range. A Chinese man who made and sold counterfeit Kiwi shoe polish has been ordered to pay compensation to SC Johnson & Son. An increase in the number of unsafe products in the UK could get worse if the UK makes a disorderly exit from the EU. CBP officers have seized 450 counterfeit designer baseball caps at Washington Dulles International Airport. US President Donald Trump has signed a memorandum on combating trafficking in counterfeit and pirated goods. Tiffany Brown Design is launching a blockchain platform in an attempt to protect its brand from counterfeits. India has a problem with spurious and low-quality seeds, and thinks traceability technology could be a solution.